When we moved into our house in September and starting purging our belongings, I quickly realized it was going to get worse before it got better. We had too much stuff, not enough space, and we quickly lost control of our house. Enter speed cleaning! In just one day, everything changed. This is the exact vacuum I use and absolute love. I love it so much, I bought a second one for our second floor. I HIGHLY recommend having at least a stick vacuum on each floor of your home. 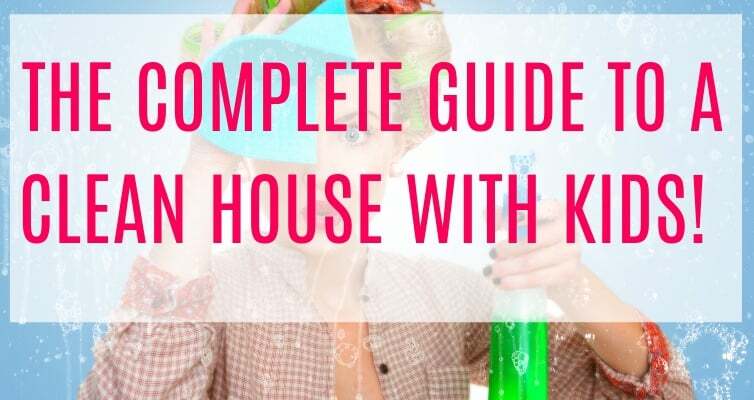 This one tip alone will keep your house 10% cleaner. This spin mop has been a game changer for us and our hard floors. I can grab it and do a quick mopping after every meal. I save TONS of money on paper towels now that I use microfiber clothslike these for just about everything. An 8 pack of paper towels lasts us 2 months now at least. Before, we went through an 8 pack in just 2 weeks…it was a problem. We had a 9 month old who was just learning to crawl, we had a whole storage unit worth of things to organize and put away or get rid of, and I soon realized I was pregnant with baby number 2. Between morning sickness and migraines our house started to get out of control. My husband worked almost an hour away and he was working as much overtime as possible to help with our new expenses. If I can do this – you can do this! It’s amazing how much of a difference clutter and mess can make on your well-being. We were stressed all the time and there didn’t seem to be enough time to tend to all of the craziness going on around us. On top of everything else, we had a new little family member who was going to be joining us soon, and the thought of bringing him home to a cluttered house drove us both crazy. Why couldn’t we just get it together? The obvious reason was we had over-extended ourselves and had more obligations than time. If you find yourself in a situation like this, or if you’re just not an organized person (like me!) follow these simple steps to get any room under control in just 15 minutes. We’re going to do this in three 5-minute increments. First, grab a garbage bag and set your timer for 5 minutes. Rush around whatever room you’re cleaning first and pick up any bits of trash you find. My son loves to tear up paper, so there’s never a shortage of things to pick up in our house. The key is to not get distracted. Only spend 5 minutes doing this task before moving on to the next one! Next, get a laundry basket. Reset your timer for another 5 minutes and go around the room and throw in anything that doesn’t belong in that room. One of the biggest issues I would run into after I had kids is getting distracted when cleaning. You only have a very limited amount of time to devote to any one task once the babies come along, so staying focused is important. In your final 5 minutes, rush around and tidy up. Put things back that are out of place in the room that you’re in. You will be amazed at how much you can accomplish in 5 minutes, I promise! Finally, go put away everything in your laundry basket. I usually don’t have to use an entire 5 minutes to pick up trash in any room, so I use the extra time that I saved on that task to put away the things that belong in other rooms in my house. In literally 15 minutes, a room can go from very cluttered to looking fairly well put together and organized. 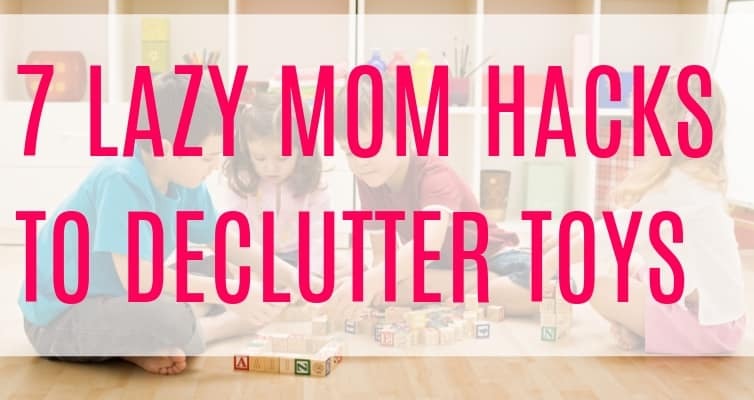 If your home has a lot of clutter, that’s okay! Just do another 15 minute cycle in that same room when you have another 15 minutes to spare. Using this method, our house became spotless without a single thing out of place. The key is to maintain your progress. Two ways to do this are to do these 15 minute sessions often. I try to spend 15 minutes in each room every day. The biggest key to success here is to make a habit out of putting things back after you use them. If you take out a book, put it back when you get pulled away. Clear the table after every meal and put all dirty laundry in your laundry bin. Do a 15-minute session on your laundry and dishes too. Set your timer and tackle your dishes for 15 minutes. If you do your big pots and pans as you’re cooking and then do a 15-minute cleaning session after every meal, you’ll never have an out of control sink again. Same thing with laundry. Set your timer for 15 minutes, round up your laundry, and throw a load in the washer. Use the time that’s left on your timer to fold and put away clean laundry from your dryer or to tidy up your laundry room. Set your timer for 5 minutes. You’re going to do this 3 times. First 5 minutes: Gather trash and anything that needs thrown away. If you have toddlers, this might be something that was perfectly fine 5 minutes ago but is now destroyed. Trust me, I get it. Second 5 minutes: Gather everything that doesn’t belong in the room you’re cleaning and put it into a basket or bag. DO NOT attempt to take it to other rooms to put it away. Third 5 minutes: Straighten up the room of your choice and put away everything that’s left out. Move in a circular motion, but make the most of your 5 minutes by picking up the things that will make the biggest difference. Ex: leave the pens, but pick up big toys, etc. Any time you have left over (maybe you had no garbage in the room – lucky you! And didn’t need to use your first 5 minutes for only trash-collecting. Add this time to your final 5 minute session and clean for 6 or even 10 minutes. Our goal here is to clean this room for a total of 15 minutes. I realize that some rooms may be pretty out of control and won’t be completely cleaned in one 15 minute cleaning session. That’s okay! Just continue this process whenever you can cram in 15 minutes. In my house, that looks like me wearing my baby and being followed around by a tiny 18-month old whose only goal in life is to undo everything I’m currently doing. Don’t wait until you have 15 minutes of complete silence to do this or your house will fall apart around you. Just give it your best shot for 15 whole minutes and I promise, you’ll be amazed at the difference! 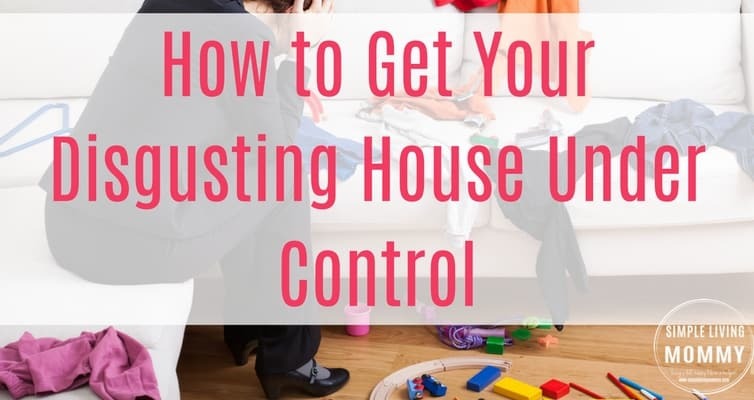 Do you have any time-saving strategies for other people who struggle to keep an organized home? What works in your house? Let me know in the comments!